Toss: MCC won the toss and elected to bat. 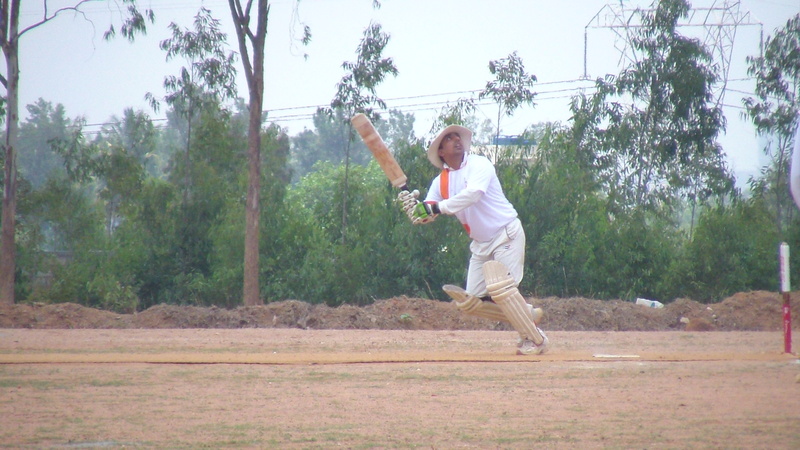 For once the scorching summer heat of Bangalore gave way to some really pleasant weather to play cricket in. MCC, bereft of regulars Chetan and Bhargav, won the toss and elected to bat. MCC suffered an early set-back as their inform opener Gunashekar was runout by Mohit. 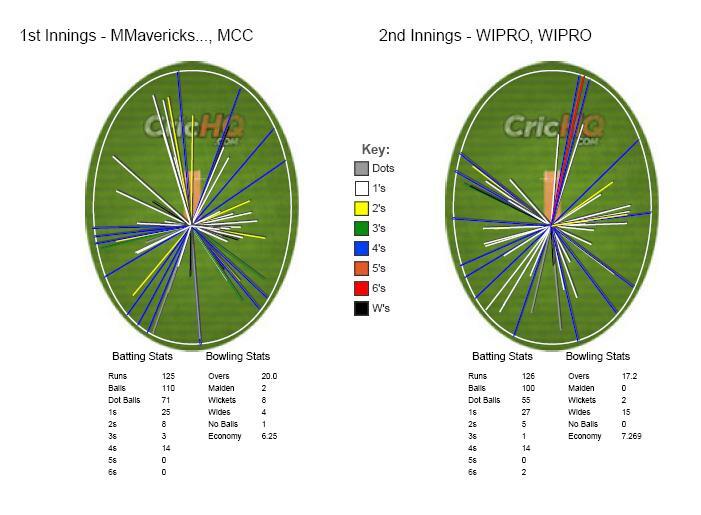 Wipro’s new ball bowlers, particularly Pruthvi, got considerable nip off the wicket troubling all MCC top-order batsmen. Pruthvi and Vikram Gowda, who got considerable lift off the wicket, built considerable pressure after the fall of Guna by not giving away any easy runs. They would soon hear fruit in the form of a double-wicket maiden for Pruthvi in the 4th over of the innings when he accounted for Syed and Shankar. Vikram Gowda followed it with another maiden over to really push MCC on the back foot as the powerplay yielded only 21 runs. MCC cut out risks to build a partnership and Vivek and Arun went about building a partnership while ensuring that there would no more casualties as Pruthvi and Vikram Gowda bowled their spells out. 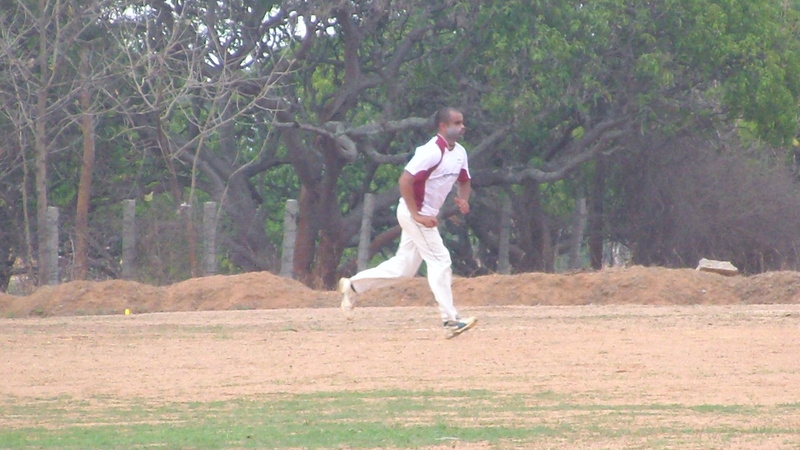 Arun and Vivek saw out the spells of Pruthvi and Vikram while dragging their score along at just over 5 runs an over. The change in bowling in the form of Karthik replacing Pruthvi resulted in Arun losing his patience and nick a leg-spinner to the Anand behind the stumps. 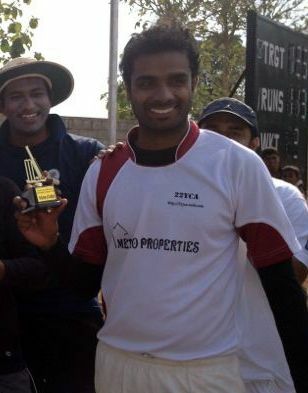 The arrival of Prasad on to the crease increased the runrate as he took chances to increase the runrate. A fortunate Prasad who survived two dropped chances struck some lusty blows in an aggressive innings of 29 and just as it looked that Vivek and Prasad would take MCC to a respectable score, Vivek nicked Aameer to the keeper Anand. Mohammed Aameerthen ran through the middle and lower order with some fine seam bowling to end with 3 for 25 that ensured MCC would be kept to 125 at the end of 20 overs. He was supported well by his skipper Sharath who bowled a tidy spell at the other end. 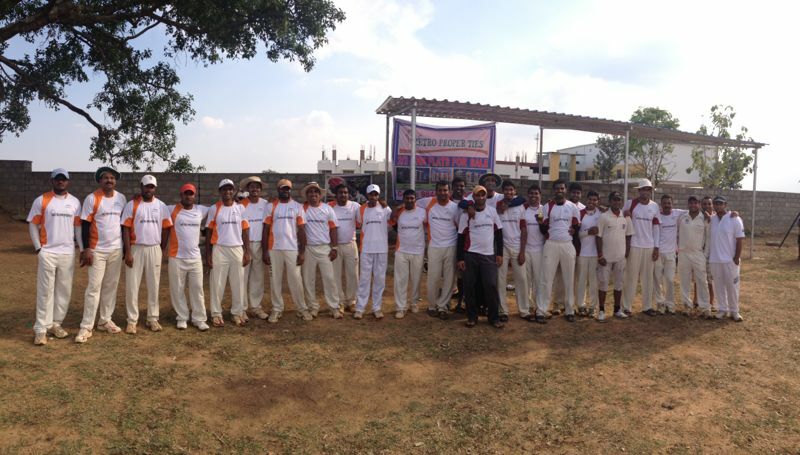 Chasing a modest 126 for their second straight win, WIPRO got off to a cautious start. Their captain Sharath would later explain it to be a plan where “we decided one of the openers to bat through for 14 or so overs)”. Suman thought produced a fine spell accounting for Sharath in the second over having the WIPRO poke at one outside-off. Suman produced another chance only to be put down at the slips. It was the chance WIPRO needed as Bharath and Mohit went about building a risk-free partnership. Karthik was severe on short balls while Mohit preferred to pepper the straight fields. A 74-run 2nd wicket partnership was ended when Karthik looked to clear the mid-wicket fielder only to find Shankar who took a juggling catch. Vinay joined Mohit and the both of them put on an entertaining 42 runs for the 3rd wicket with lofted sixes and crisply driven boundaries. The victory was soon brought-up in the 18th over. Mohammed Aameer was declared the Performer of the Match for his impressive figures of 4-0-25-3. You can download the pdf from here. Performer of the Match: Mohammed Aameer.